Windsor 90’s Throwback, Hot Rock Night, A Night for Amazing Blues, and a Celebration of Prince, are four special concert nights featuring legendary performers and rising stars coming to LiUNA! 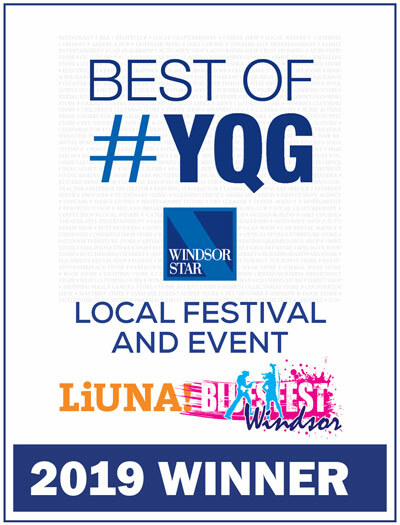 Bluesfest Windsor 2019. “On behalf of LiUNA! 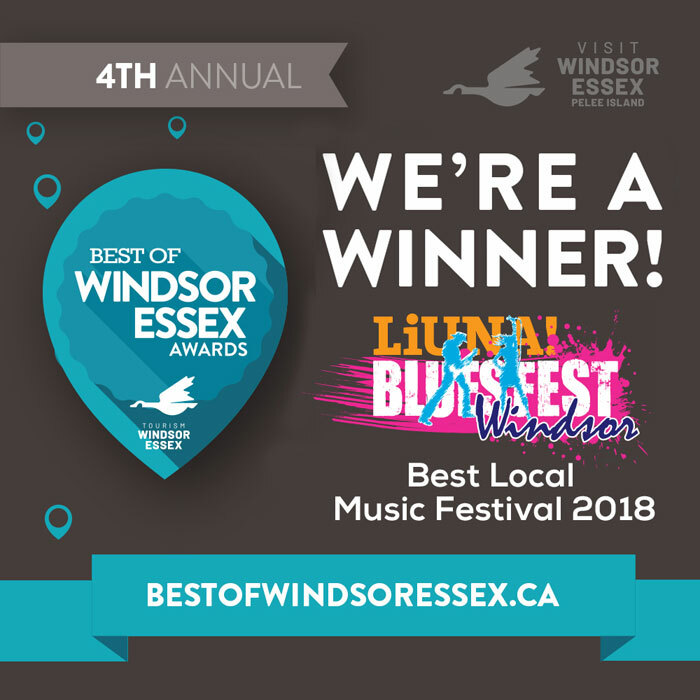 Bluesfest Windsor’s Board of Directors, I’m very pleased today to release our full list of headliners that began with our earlier announcements in December,” stated Rob Petroni, festival President and Business Manager of LiUNA! 625. Friday, July 5, 90’S THROWBACK kicks off the four-day music fest, returning (after last year’s overwhelmingly successful concert and dance party) and featuring Vanilla Ice, Rob Base, Young MC, C&C Music Factory ft. Freedom Williams plus 2-Live Crew and Tone Loc. Saturday, July 6, HOT ROCK NIGHT features world-class rockers X Ambassadors from Ithaca, NY. Their bombastic sounds and hit songs have garnered multi-music awards across the continent including a gold-certified album for VHS and double-platinum hits like Renegades and Unsteady as they continue to win fans and sell out concerts worldwide. Leading off Saturday’s HOT ROCK NIGHT, singer, songwriter rising Canadian rock star, Billy Raffoul brings his blues rock raspy voice and raw sense of storytelling to the Bluesfest stage. With the launch of his first EP 1975 and packing North American tour performances, Raffoul is receiving critical acclaim from music media and a rapidly growing fan following. Friday, July 12, A NIGHT FOR AMAZING BLUES features Buddy Guy. Blues purists, aficionados and genre newbies won’t want to miss the legendary blues icon performing his classic hits and new tunes from his18th solo LP and latest album, The Blues is Alive and Well. At 82 year’s young and a touring schedule akin to a rising star, with seven Grammys and countless music awards, Bluesfest’s special night with Buddy Guy will simply amaze! Also heading up blues night and making his first appearance in Canada, renowned guitarist and blues rock singer, Eric Gales is fresh off headlining sold-out concerts in the UK, South America and Europe and is set to release his new studio album The Bookends. With 15 studio albums to his credit, the first released at age 16, Gales is recognized as the guitarists’ favourite guitarist by the likes of Carlos Santana, Joe Bonamassa, Dave Navarro and many others. Setting the stage for blues night is multi-blues award nominee, soul blues singer Sugaray Rayford, returning to the Bluesfest stage. Rayford’s live shows feature his 8-piece band and deliver a high-energy vibe with a celebratory flair as he whips the crowd into a frenzy like a Gospel Preacher. Saturday, July 13, CELEBRATION OF PRINCE, presented by Morris Day & The Time and Sheila E. plus Purple Reign. Morris Day, Master of Cool, with his smooth vocals and dynamic dancing was a high-school classmate of Prince and also a founding member and performer in his band, The Time. Going solo in 1984, today, Morris Day & The Time perform hit songs like Jungle Love to standing-room-only crowds across the country. Sheila E. is a world-class percussionist, singer/songwriter, author and humanitarian. Her trailblazing career, still without bounds, began in the mid- ’80’s when she became the biggest and brightest of Prince’s protégés. Her fierce, dynamic energy onstage has made her a major concert draw since the ‘90’s, captivating audiences around the world with a variety of styles from Latin, and jazz, to R&B and pop. With groundbreaking hits like The Glamorous Life and A Love Bizarre, plus career credits that include the likes of Ringo Starr and Diana Ross, Sheila E. will create a new dimension of entertainment for Bluesfest fans. Purple Reign is an award-winning live show produced by and starring Jason Tenner. Playing the Las Vegas strip for almost two decades, Tenner’s funk, neo-soul, pop and rock sound, plus his Prince-like persona has been a hit sensation with audiences from around the world and his led to a guest musical appearance on the David Letterman show. Kathleen Murray and The Groove Council, Detroit’s legendary blues and R&B artists and long-standing Bluesfest Windsor performers, will open the Celebration of Prince concert. Bluestowne, the destination for food, refreshments and blues artists performing under the Big Tent between main stage sets, will also feature Scott Holt, Hurricane Ruth, Greatest Hits Live, South River Slim and additional artists in the works! Reimagined and revitalized five years ago when Rob Petroni took the helm and began securing major corporate sponsors to attract world class artists to perform on the Windsor waterfront, today, LiUNA! Bluesfest Windsor is a million dollar plus production, expanding to new heights each year. “My focus has always been to feature exceptional quality musicians, emphasize genre diversity and to grow and broaden our fan base by creating a highly entertaining and memorable experience,” says Petroni. After Bluesfest’s second break-even year, Petroni presented his national organization, LiUNA! with a signature sponsorship proposal that would assign the most progressive union in the country the naming rights to the festival and all related marketing. Since they’ve been on board, the LiUNA! brand and the organization’s regional stature have gained considerable attention for their role as a significant community partner for volunteerism, and the funding of special needs for numerous charitable organizations, most notably, Transition To Betterness. “Ticket sales for the 2019 concert which began last month, have exceeded last year’s early bird sales by 30%,” added Executive Director, Carol Petroni. “And that’s only through online sales! Watch for our retail outlets to be announced by mid-February,” she emphasized. Download a PDF of the release here.